Ice Queen Trying To Kidnap A Prince...sort of!. Vegeta==>Prince of All Saiyans. HD Wallpaper and background images in the Adventure Time club tagged: adventure time ice queen vegeta dragon ball z. 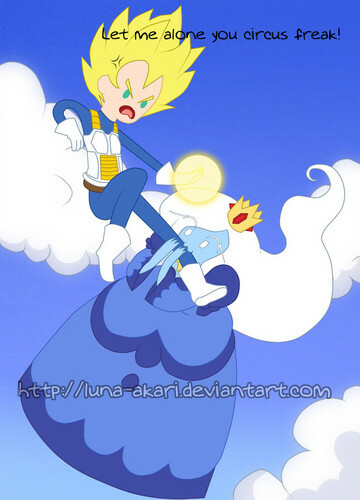 ^ Vegeta is a prince. IQ Kidnaps Princes. Vegeta ain't your regular type of Prince. Vegeta can KILL in seconds. Vegeta is also...quite arrogant.